The Senate Intelligence Committee revealed last night that Michael Cohen has postponed his scheduled testimony at the last minute, this time citing complications from his recent surgery. Because Cohen keeps delaying and postponing things with several congressional committees, each time with a different excuse, it’s led to a lot of speculation that there may be hijinks involved. But one key details gives away that it’s nothing so nefarious. Here’s the thing: each time Michael Cohen pushes back his congressional testimony yet again, no one complains. None of the three committees he’s postponed on seem to be upset at all. The Republicans on those committees don’t mind. The Democrats on those committees don’t mind. In fact when he postponed on the House Intelligence Committee last week, two of the most prominent Democrats on the committee, Adam Schiff and Jackie Speier, seemed almost pleased about it. 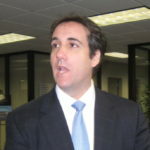 If there were any hijinks involved here, such as Cohen simply trying to run out the clock until he goes to prison or some other, someone involved would be very upset about these postponements – and they’d be grabbing the first microphone they could find in order to voice their displeasure. But that simply isn’t happening. That tells us that the Democrats involved know full well why Cohen keeps postponing, and they know that it’s something good for them and bad for Donald Trump. So what is it specifically? That part is fuzzier. The most logical explanation for such a delay is that Robert Mueller and/or SDNY need Michael Cohen to keep quiet for a bit longer about a case he’s still cooperating in. But we know it’s something productive with regard to Trump’s downfall, because otherwise the committee chairs involved like Schiff and Elijah Cummings would be threatening to subpoena him instead of giving him all the time he needs.